Several development economics discourses and communications such as the World Economic Forum on Africa held in Nigeria in 2014, the study by the Mckinsey Group International (MGI) Nigeria Office on Delivering inclusive growth in Nigeria, the 2015 World Bank Report on Jobs, More Productive Jobs for Nigeria and the letter and spirit of the recently adopted Sustainable Development Goals suggest that Nigeria urgently requires structural transformation to deliver on inclusive growth. The elements of this transformation include: ample world class physical infrastructure; rapid agriculture-led industrialization; generation of ample decent productive employment opportunities for the teeming youthful population; supportive income redistribution and safety nets programmes and policies; and, careful de-concentration of markets and industry; The current disconnect between high economic growth and widespread poverty requires that future aggregate and sectoral growths become more participatory and contributory, as well as ensure maximisation of high-productivity activities among the labour force, while optimally combining macroeconomic stability, human capital development and structural changes incorporating the poor, who have traditionally been left behind, by rendering them active participants in the growth process. The prospects for inclusive growth have been constrained by inadequacies in the areas of infrastructure, governance, security, low level of skills of young Nigerian graduate workers, their job readiness and experience. 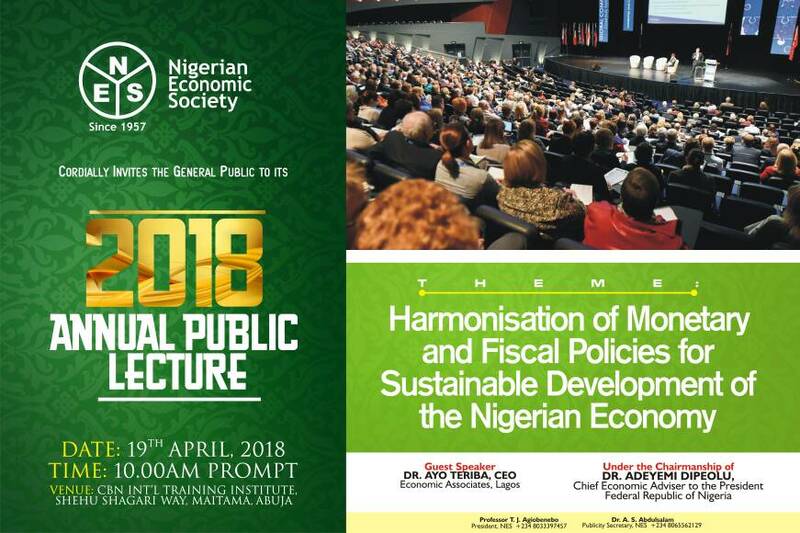 The 2015 NES Annual Conference on Ã¢ï¿½ï¿½Attaining Inclusive Growth in Nigeria: Challenges and ProspectsÃ¢ï¿½ï¿½ is, therefore, a clarion call to adopt concrete measures towards the effective realization of inclusive growth in Nigeria. The conference, in line with its primary objective, assembled national and international intellectuals and professionals to identify, discuss and communicate contextually relevant and workable measures necessary to surmount the challenges and exploit the prospects of inclusive growth. The 56th annual conference was kicked off on Sunday October 11, 2015 with a dinner presentation on More, and more productive jobs for Nigerians by Dr. Khwima Nthara, Lead Economist and Programme Leader, World Bank Office, Abuja. The Opening Session of the Conference commenced on October 12, 2015 with welcome remarks by Prof. Olu Ajakaiye, NES President followed by Opening Remarks by the Chairman of the Opening Session, Dr. Shamsudeen Usman, CON, FNES,. The Keynote Address was delivered by Prof. Akpan Ekpo, FNES, Director General WAIFEM. The opening ceremony also featured the conferment of fellowship of the Society on His Excellency, Alhaji Ibrahim Hassan Dankwambo, Executive Governor of Gombe State. In line with the tradition of the Society, Prof Olu Ajakaiye read his 2015 Presidential Address under the Chairmanship of Prof. Akin Iwayemi, the immediate past President of the Society. The Conference also featured plenary and concurrent sessions, PhD Thesis award during which Prof. S. K. Adeyemi, FNES, addressed the Conference, and the Conference Dinner speech delivered by Prof. Mike Kwanashie, FNES. There was one policy roundtable, and a special panel on the teaching of Economics, research and publications. In all, a total of twelve well-researched papers were presented in two plenary sessions and the policy roundtable by eminent scholars from within and outside the country, including the United Kingdom and United States. In addition, one hundred and twelve papers were presented and discussed in seventeen concurrent and special sessions. The eight thematic areas of the conference thus received adequate attention throughout the four days of the conference presentations and deliberations. (i)	While government policy matters for inclusive growth, the translation of policies into concrete strategies for structural transformation requires consistency, coherence, determined leadership and sincerity of purpose. (ii)	It is important to put in place aggressive policies to lower the current high lending rate as well as stabilize the exchange rate to stimulate investment. (iii)	There should be competitive fiscal federalism where more economic autonomy of sub-national governments will encourage the deepening of economic interdependence, inter-industry linkages and regional growth poles. 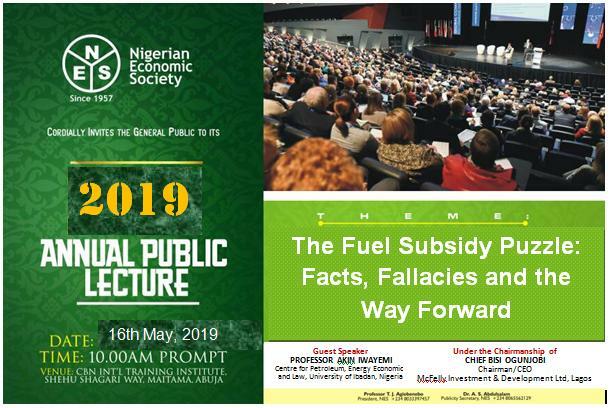 (iv)	The recent oil price shock re-echoes the urgent need to diversify the economy away from crude oil and diversification of the country's export base away from export of crude materials towards high value-added manufactured exports. B. Structural Transformation, Developmental State, and Inclusive Growth (i)	Government needs to be very cautious in considering removal of fuel subsidy primarily because of the ramifying adverse effects on cost competitiveness of Nigerian industries, the pertinent concerns of organized labour and the poor, all of which can lead to unnecessary disturbance of the much needed socio-political tranquility. (ii)	Declining oil revenue is a huge challenge for structural transformation calling for the adoption of the main tenets of a developmental state in the pursuit of economic diversification and strategic innovation to Nigeria's fiscal, monetary and structural development policy regimes as well as strategic government interventions and incentive system in the context of a carefully articulated and vigorously implemented Federal and State development plans. (iii)	Government and the private sector should strengthen investment in knowledge and ideas and transformation of same into goods and services through deliberate and targeted research in tertiary institutions and research institutes to support inter-industry linkages and the creation of a competitive integrated national production network. (iv)	Without prejudice to the support for tertiary education, Government should direct quality investment to public primary and secondary education as well as revival of the hitherto abandoned post-secondary education skill acquisition technical colleges/trade centres thereby securing a solid integrated human resource base and eliminating the prevailing challenges of Ã¢ï¿½ï¿½missing middle manpower in the Nigerian labour markets. (i)	The Conference reiterates the importance of domestic savings in attaining inclusive growth and calls on financial institutions and the DMBs to strive to innovate new products and services and effectively implement non-interest finance to enhance financial inclusion. (ii)	Government is called upon to sustain the ongoing efforts aimed at sanitizing tax administration and handling for better revenue mobilization and should avoid temptation to increase tax rates as doing so will raise tax burden, discourage voluntary compliance and encourage tax avoidance and evasion. (iii)	Government should leverage pension funds for investment in infrastructure and real sector to ensure optimal utilization of accumulated pension funds. (iv)	The government should, in collaboration with relevant stakeholders, design appropriate micro insurance and micro pension schemes to cater for the sections of the population not captured by existing initiatives. (v)	There is the need for the government to partner with Nigerian banks to create customized products for vulnerable groups in the society. (vi)	The Monetary Authorities and other stakeholders in the financial services sector should intensify sensitisation of the public to improve financial literacy and widen financial inclusion. (i)	The Conference recognizes the importance of modernized technology/knowledge driven rural agriculture in checking rural-urban migration and therefore calls on the government to support the National Agricultural Research and Extension System and promote adoption of modern, affordable and simple technologies/tools for mobilization and retention of youths in the rural sector. (iii)	The Conference emphasizes the need for governments to scale up skills acquisition training for the teeming youths to productively engage them in viable economic ventures. (i)	The political will, as well as the commitment of the present Administration to fight corruption, is clearly discernible. Conference calls on Government to remain focused, resolute and holistic realizing that zero-tolerance for corruption is a sine qua non for an effective developmental state to emerge and thrive in an environment devoid of capture, especially by the special interest groups. (ii)	The government needs to combine the application of short-term punitive measures for high profile corruption cases with long-run institution building where officials follow extant rules and regulations for effective fight against corruption. (iii)	Leadership quality manifested in commitment and strategic vision at all levels of governance is imperative for good governance in an era of change. Government needs to re-orientate the country's current and future leaders to focus on positive change, commitment and sacrifice to deliver democratic and socio-economic dividends to the largest number of the people. (iv)	The Conference calls on the legislative and judicial arms of Government to cooperate with the Executive arm and remove all legal bottlenecks against the anti-corruption crusade while rationalizing and strengthening the anti-graft agencies, especially the. EFCC, ICPC and CCB. of plea bargaining in corruption cases by restricting it to civil cases only, where necessary. (vi)	The government should institute appropriate remunerations and conducive work environments for public servants as part of the anti-corruption crusade and strategy. (i)	Government should view diversification policy as a long-term issue which needs short and medium term concerted efforts of both public and private sectors to harness the diverse natural and human resources in the country. policy of domestic refining of NigeriaÃ¢ï¿½ï¿½s crude for domestic use and export, foreign exchange reserves conservation and subsequent accretion. (iii)	Government needs to speed up the development of hard infrastructure such as power, transportation (railway in particular), irrigation, road networks, to bridge the infrastructure deficit for enhanced productivity and growth and also create enormous decent employment generation potentials. (iv)	The Conference recognizes the need for adequate investment in science, technology and innovation and calls on the Government to promote adoption of homegrown inventions to advance rapid industrialization in the country. (ii)	There should be effective data generation and management to support evidence-based policy design, implementation, monitoring and evaluation. (i)	The challenge of insecurity in the form of boko haram insurgency, kidnapping, armed robbery, cattle rustling and other social vices constitute binding constraints to sustained economic growth. Conference calls on Government to vigorously pursue inclusive growth strategies in order to eliminate these challenges sustainably while intensifying the ongoing military and other security management strategies to abate these problems in the short to medium term. (ii)	The task of fighting insurgency should continue to leverage on both national and cross-border collaboration and intelligence information sharing for a long-lasting solution. (iii)	Government should urgently institute mechanisms for reintegration and rehabilitation of internally displaced persons as part of the inclusive growth strategies.